HR Executive – Specialised Research and Analytics Firm@ Navi Mumbai. We are looking for a HR Executive for leading Research and Analytic Firm. Serving Fortune 500 Clients located in Mahape Navi Mumbai. Mail your applications onpriyanka@netsyscon.net or call on 9969363905. Years of Experience: 1 to 3 years. 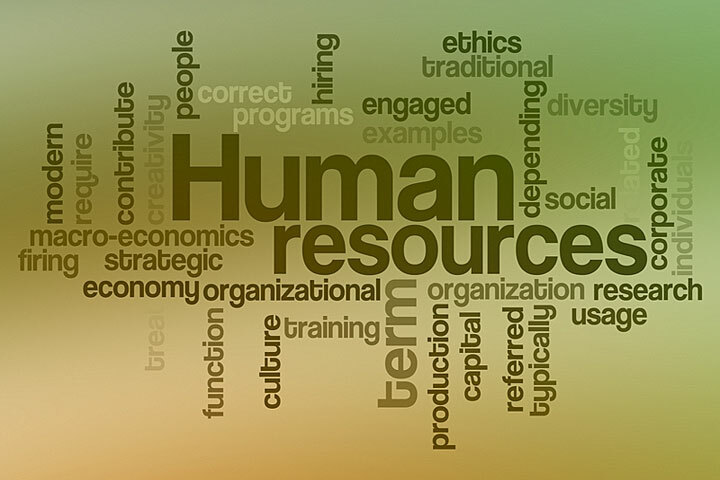 Managing a full spectrum of human resources programs, services and functions. Overall direction and control of Human Resources functional areas such as Recruitment & Selection, Compensation & Benefit Management, Training & Development, HR policies and processes for Employee Relations & Services, Performance Management and Employee Engagement. Developing HR planning strategies with line managers by considering immediate and long-term staff requirements. MBA with minimum 5 years of experience in HR Management. Candidates with prior experience of working with a digital advertising agency would be added advantage. We are looking for an HR Intern with a leading Multinational Retail Brand for their Head office in Bangalore. Mail your applications to reeku@netsyscon.net or call 07738726142. Coordination with the Retail Stores. Steps in the recruiting and hiring process, including: posting job openings, reviewing resumes, conducting telephone and in-person interviews, making job offers and negotiating starting salaries. Responsible for Statutory compliance, especially regarding employment eligibility, confidentiality, proper maintenance of employee files, and forms management. Responsible for new employee paperwork, payroll issues related to on boarding and termination, use of a payroll management database, and report generation. Employee benefits management issues related to plan renewal and open enrollment, benefits enrollment and termination, troubleshooting employee benefits issues, and the customer service aspect of benefits oversight. Here is a collaboration of Top Ten HR Practices that can help you achieve your organizational goals every year. Creating a safe, healthy and happy workplace will ensure that your employees feel at home and stay with your organization for a very long time. Capture their pulse through employee surveys. Sharing information about contracts, sales, new clients, management objectives, company policies, employee personal data, etc., ensures that the employees are as enthusiastic about the business as the management. Through this open book process, you can gradually create a culture of participative management and ignite the creative endeavor of your work force. It involves making people an interested party to your strategic decisions, thus, aligning them to your business objectives. Be as open as you can. It helps in building trust and motivates employees. Employee Self Service Portal, Manager On-Line, etc., are the tools available today to the management to practice this style. Paying out bonuses or having any kind of variable compensation plan can be both an incentive and a disillusionment, based on how it is administered and communicated. Bonus must be designed in such a way that people understand that there is no payout unless the company hits a certain level of profitability. Additional criteria could be the team’s success and the individual’s performance. Never pay out bonus without measuring performance, unless it is a statuory obligation. This system, which solicits feedback from seniors (including the boss), peers and subordinates, has been increasingly embraced as the best of all available methods for collecting performance feedback. Gone are the days of working hard to impress only one person, now the opinions of all matter, especially if you are in a leadership role (at any level). Every person in the team is responsible for giving relevant, positive and constructive feedback. Such systems also help in identifying leaders for higher level positions in the organization. Senior managers could use this feedback for self development. Develop an evaluation system that clearly links individual performance to corporate business goals and priorities. Each employee should have well-defined reporting relationships. Self-rating as a part of evaluation process empowers employees. Evaluation becomes fairer if it is based on the records of periodic counselings and achievements of the employee, tracked over the year. For higher objectivity, besides the immediate boss, each employee should be screened by the next higher level (often called a Reviewer). Cross-functional feedback, if obtained by the immediate boss from another manager (for whom this employee’s work is also important), will add to the fairness of the system. Relative ratings of all subordinates reporting to the same manager is another tool for fairness of evaluation. Normalisaion of evaluation is yet another dimension of improving fairness. Adopt a systematic approach to ensure that knowledge management supports strategy. Store knowledge in databases to provide greater access to information posted either by the company or the employees on the knowledge portals of the company. When an employee returns after attending any competencies or skills development program, sharing essential knowledge with others could be made mandatory. Innovative ideas (implemented at the work place) are good to be posted on these knowledge sharing platforms. However, what to store and how to maintain a knowledge base requires deep thinking to avoid clutter. Create profiles of top performers and make these visible though company intranet, display boards, etc. It will encourage others to put in their best, thereby creating a competitive environment within the company. If a systems approach is followed to shortlist high performers, you can surely avoid disgruntlements. Ideas rule the world. Great organizations recognize, nurture and execute great ideas. Employees are the biggest source of ideas. The only thing that can stop great ideas flooding your organization is the lack of an appropriate mechanism to capture ideas. Open house discussions, employee-management meets, suggestion boxes and ideas capture tools such as Critical Incidents Diaries are the building blocks that can help the Managers to identify and develop talent. Merely recognizing talent does not work, you need to couple it with ceremonies where recognition is broadcast. Looking at the Dollar Check is often less significant than listening to the thunderous applause by colleagues in a public forum. The last but not least way is to occasionally delight your employees with unexpected things that may come in the form of a reward, a gift or a well-done certificate. Reward not only the top performers but also a few others who are in need of motivation to exhibit their potential. Being highly dynamic process, HR operations has to be modified with every slight change in the industry to suit the requirements of the employers. There have been some notable changes and developments in recent past, especially in terms of technology. The relationship between human resource management and information technology is inverse. Human resources use machines to manage people, and information technology uses people to manage machines. It is important to remember that information technology brings new tools and a strong interest in knowledge management to this business relationship. While human resource brings a strong orientation for improving job performance and a focus on knowledge use. The primary responsibility of a human resource information system is to facilitate the man on job, by segregating the data on human capital and human resource into desirable silos. The second enhancement is strategic. It provides easily accessible data to a manager which allows them to make better decisions regarding human resource planning. Another technology boom to HR is internet. With more than one billion users on Internet, the other upcoming trend is of E-Recruitment. Around two thirds of employers use Internet as a part of their recruitment strategies. Online recruitment is likely to pick up momentum due to speed and cost benefits. The Internet offers a unique opportunity to shortlist candidates on hard skills from a wide geographical area, at a minimal cost and fractional time, when compared to traditional recruitment mediums. Online advertising offers more cost effective and highly targeted visibility than traditional press and can last for longer time duration. The advertising can be employer-branded and a more substantial job specification can be presented to attract suitable applicants. The geographical reach of the Internet is a clear advantage. “It is the ‘pull advertising’ as against the ‘push advertising’ of the traditional media that is also an advantage. Use of rich and interactive multimedia content in online advertisements offers a rich emotional involvement for the targeted user. Moreover, social networking sites such as orkut, facebook, myspace and linkedIn are popular hunting grounds for recruiters. A significant number of people are using the social network sites for work-related tasks which include research on potential employees and generating new business. According to Manpower report 17 per cent people use the sites to research for potential employers, 10 per cent for networking and generating new business while 17 per cent use it for other work-related reasons. In future, due to huge internet penetration and younger profile of our country expansion will further accelerate. The report also revealed that as the virtual world of work becomes increasingly attractive, people are expecting changes in the workplace over the next 10 years. The results reveal that 87 per cent think technology would play a bigger role in how people work. Technology reduces the time to scout the best talent and help them migrate. In this environment, it is important to engage with both active and passive target audiences. Companies that will focus on building niche talent pools based on future skill sets requirement and engage with them to retain them are most likely to emerge as clear leaders. While the concept of implementing information technology into human resource management has significant benefits, the idea is not without challenges. In this information age, the prime concern remains of data security and user privacy. This radical transformation of HR functions has been instigated by a complex nexus of forces. Pressures to reduce costs, higher expectations of customers, the constant drive to meet global competitive challenges, and opportunities offered by advancements in information technology hold the key. The mix of these forces accelerates the transformation of the HR function in ways not envisioned a decade ago.